Freelancing for a living is a double-edge sword. Sure, there’s the flexibility to work your own hours in your pyjamas, and you can have cereal for dinner three days in a row with no one to judge you (other than your cat). But on the downside, freelancing can be isolating and an inconsistent source of income is a potent source of stress. Today, I’m going to share how social media can be your knight (or valkyrie) in shining armour that helps you tackle the monsters of isolation and inconsistency. Let’s jump in. For a freelancer, generating leads is often contingent on generating positive word-of-mouth, but advertising yourself can feel degrading or embarrassing. Unshackled from the daily grind of a regular 9-5, it’s not uncommon for freelancers to feel revulsion at the idea of cultivating their own ‘personal brand’. Surely it’s just sharks and snakes who need a personal brand to get noticed? Perhaps not! With few freelancers promoting themselves with business pages, setting up an identity for yourself is an awesome way to get noticed by potential clients and set yourself apart from the crowd. If fact, sharing your values is a great way for businesses to connect with you and see you know your stuff. Share your knowledge and expertise, so that when people are looking for your speciality, they call you first. For some of us, this could be sharing our portfolios on Instagram with loads of industry-themed hashtags, and for others it’s all about sharing articles we’re reading or writing on LinkedIn. Show your chops by letting your content talk for you. But letting your social media sell for you is not just about the content you post online – it’s also about your online profiles. When was the last time you looked at your LinkedIn profile? Does it actually say ‘freelancer’, or what you specialise in? Does your Facebook profile mention you’re freelance? If not, perhaps it’s time to update. We know that freelance work has peaks and troughs, but that doesn’t mean showing off your sweet skills needs to take a backseat when you’re busy. Keeping up your social media presence while you’re busy helps generate leads, with the intention of leading to fewer slumps between jobs. Many big businesses use social media scheduling tools to manage their brand and that’s something we freelancers can use too. Load up your social media schedule with content for a few weeks, so when a busy time hits your social accounts are still ticking over, showing off the articles you’re reading, samples of your portfolio, or stashes of testimonials you’ve Canva’d up into something spiffy. Keep nifty content recycling tools like Buffer or Meet Edgar in your back pocket. Load up your queue with a stash of evergreen articles and it will keep singing your praises, even when you’re on a deadline. For many of us, when we think about promoting ourselves on social media, we think about sharing blogs on Twitter or posting work to Instagram. It’s pretty common for people to forget that we are actually targeting a specific demographic to buy our services: businesses with money. And where do people with money hang out? LinkedIn. Schedule posts using social media scheduling tools like Meet Edgar to share on LinkedIn. Get involved in Groups and hang out with potential clients and industry peers. Post on LinkedIn Pulse – use the blogging platform as another way to show off your skills and reach a new audience. And, according to Yoast, cross posting existing content shouldn’t affect your SEO. There is a lot to be said for groups. Facebook groups seem like they are gaining more popularity, and they are a great space for new opportunities. If you’re trying to break down the isolation barrier, Facebook groups are useful for forging connections. 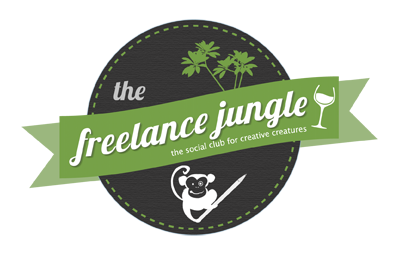 The Freelance Jungle is amazing for connecting with other freelancers (I wasn’t paid to say that, either! ), but also keep an eye out for industry-focussed groups. Whether it’s a women in tech group, a group for copywriters, or an accounting group – find your peers and engage with them. Many of these groups also have “promo days” where you can promote your latest deal or service, so pop these in your calendar and take advantage of them. There are also larger groups for small businesses where sharing knowledge and how-tos can build new relationships which lead to clients. Researching and actively participating in these groups is essential so that if someone is looking for a person with your skills, they know where to go. When we spend all our time posting on groups to people we’ve never met in person, or on LinkedIn, or blogging away, it can be easy to forget that your real-life friends are also great sources of leads. Share on your personal Facebook wall that you’re available for work, or try privately messaging people who you think might be your ideal client. If done tactfully, it might just open up a new opportunity. Even if your cat is sleeping on your keyboard and you haven’t been outside all week, there’s no reason that you can’t use social media to show off your stunning work, gain new contacts and hit up new leads. Whether you’re posting each day in groups, or scheduling content for the future, social media can be used to set you apart from the other freelancers in your field. Sometimes it’s just about biting the bullet and moving past the fear of putting yourself out there. 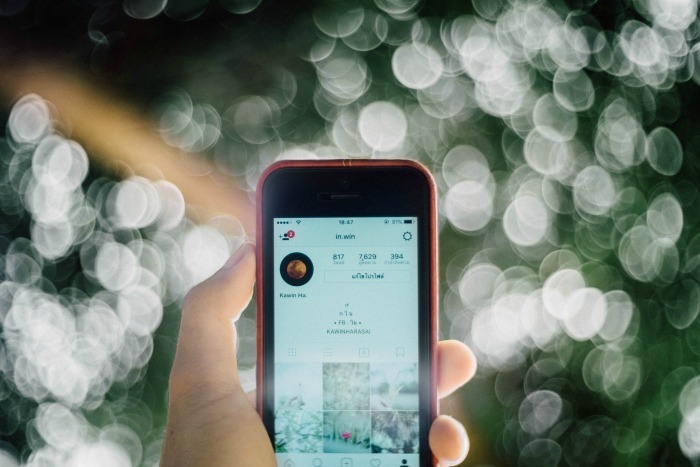 Social media isn’t a magic wand you can wave for a happy and successful freelance career, but it might just make all the difference in helping you secure more consistent work and build a community of lifelong friends. 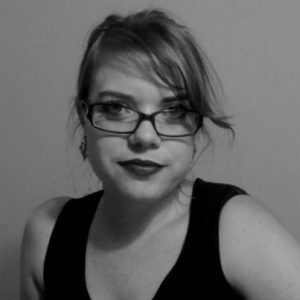 Rachel Beaney is a freelance social media specialist and trainer. From Sydney, Rachel is spending 2017 in snowy Montreal. When Rachel isn’t on deadline, she’s a fan of future tech, dogs and creating clay animation. Find her online on Facebook, Twitter and Instagram, or check out her regular articles over at rachelbeaney.com. Join our mailing list to receive the latest news, articles, events info and all things wonderfully freelance from the jungle. We send you what you need without the cheesy sales vibe.